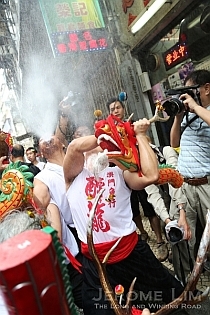 Public entertainment during the seventh month of the Chinese lunar calendar, while intended for the special visitors of the netherworld, would once have attracted a large audience across Singapore. 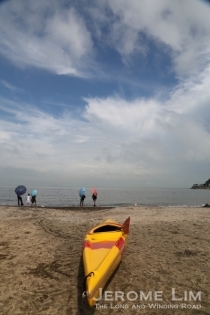 The crowds at such events, typically a getai in more modern times, or a Chinese opera or puppet performance in the past, have dwindled over the years. Perhaps this is more the case this year with the political hustings coinciding with the celebration of the hungry ghosts festival. It still is nice to come across them as they make not just for a colourful spectacle, but also because they tell us that the traditions of our forefathers, though modified, are very much still alive. 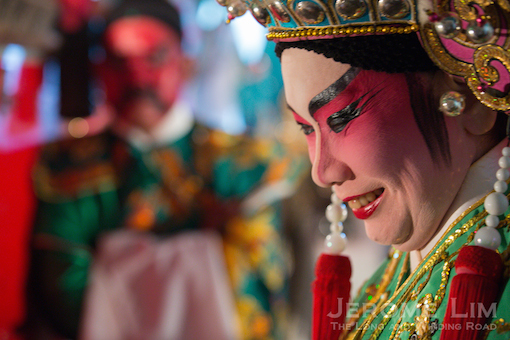 A 7th month Hokkien Opera performance at the Balestier Road Goh Chor Tua Pek Kong Temple’s free-standing stage – one of the last such stages left in Singapore. A getai performance at Woodlands. Front row seats at such events are reserved for the guests from the netherworld. The crowd at the getai performance. Another getai held in Sembawang. Which attracted a different kind of special guest. A performer at the Sembawang getai. Standing in silence at what perhaps is a less explored end of Balestier Road is a row that was only recently emptied of all life. Life in the row at the Rumah Miskin end of the road, included several reminders of the city we seem to have long forgotten – until only a few weeks ago, or at least when I last drove past it a month or so ago, the row was home to two artisans shops, a timber merchant and the merchant’s material storage yard. A reflection off a discarded piece of the old world (sitting against the fence of Chop Chuan Seng’s former material yard). Trades such as these were once a feature of the city’s living streets, but not in the redefined urban landscape we see today. With our streets seemingly intent only with the display of the city’s new found vanity, little place has now been left for the one thriving traditional business of old, leaving many of our streets, even ones along which the structures of old still exist, with little flavour and with hardly any character. The “more of the same” that many of our spaces in Singapore, once each with a charm and character of its own and now with a tendency to be differentiated only by a fanciful name, have become. Along the five-foot-way of the row now emptied of life. The noodle manufacturer, Nam Hin, which occupied two shop lots at Nos. 3 and 5. The now closed gates of the shop the noodle manufacturer once occupied. The Rattan Furniture maker’s shop. Along the back lane behind the rattan furniture makers’ shop. The timber merchant, Chop Chuan Seng, which occupied a four storey art-deco style building. And the now empty timber merchants’ yard next to it. A view of the storage shed inside the yard. 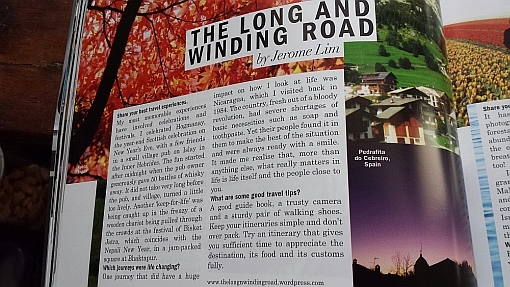 The stretch of Thomson Road between Balestier Road and Moulmein Road is one that I am well acquainted with. It is a stretch that was an invariable part of the twelve years of almost daily bus journeys to kindergarten, primary and secondary school and best known perhaps for a religious landmark, the Catholic Church of St. Alphonsus, popularly known as ‘Novena Church’ – so much so that the church has lent its name to the area where it is located. The twelve years, from 1969 to 1980, were ones in which there were significant changes made to the road and its surroundings. One big change was the widening of the road which resulted in pieces of property on the west side of the road losing valuable frontages. Another was the addition of a private women’s and children’s hospital which has set the standards for maternity hospitals in Singapore. Developments around Velocity have quickened the pace of change in a world where some semblance of the old can (at least for now) still be found. 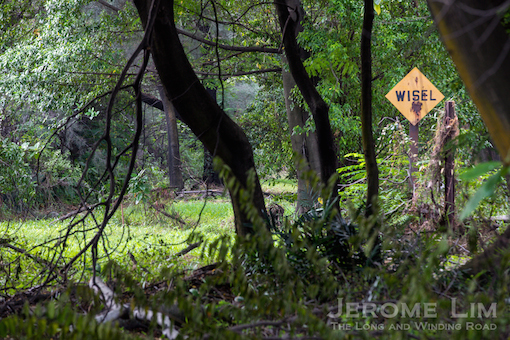 The stretch has seen many significant changes including being widened. The hospital, Thomson Medical Centre, came up close to the end of the twelve years, occupying a plot of land at the start of the south end of the stretch. Known for its innovative approach towards the birth experience of mothers, it does today feature another innovation – the basement of the refurbished building hides one of the first mechanised car parks in Singapore which was added in the mid 2000s. 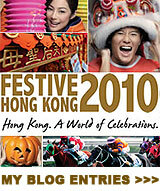 The hospital is the brainchild of a well known gynaecologist, Dr. Cheng Wei Chen, better known as Dr. W. C. Cheng. Built at a cost of $10 million on a terrace on the western side of the road – one of the buildings it was built in place of was a glorious mansion which Dr. Cheng had used as his clinic, the hospital’s opening in 1979 saw a hospital built so to make delivery a less than clinical experience. 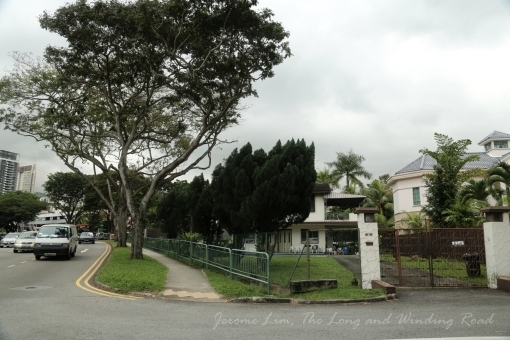 The mansion along Thomson Road in which Dr. W C Cheng moved his obstetrics and gynaecology practice to from the 2nd floor of the old Cold Storage (image from Thomson Medical Centre’s 30th Anniversary Book). 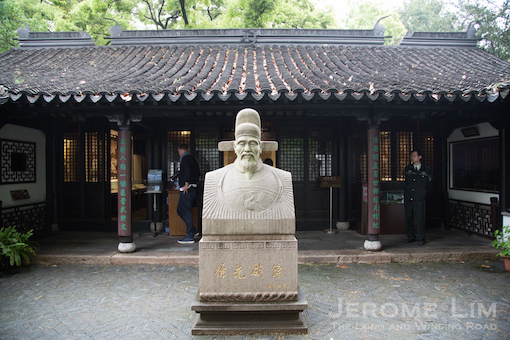 The house which Dr. Cheng used as his clinic was a landmark in the area for many years. Standing on a terrace behind a wall, it never failed to catch my attention over the many bus journeys I made. The house I was to discover, does have an interesting history that goes well beyond the clinic. 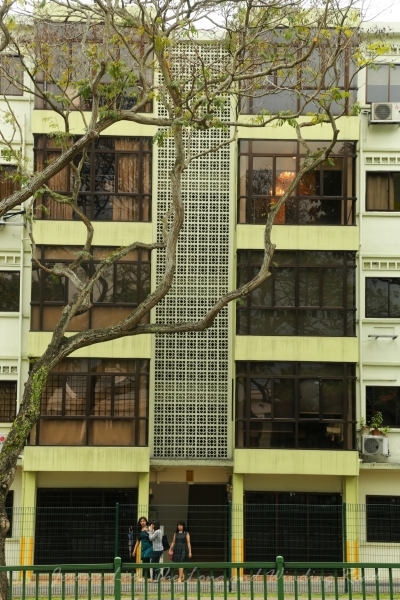 Besides being the home of Dr. Cheng’s in-laws – Dr. Cheng had moved his practice to the house in the early 1970s from a clinic he operated on the second floor of the old Cold Storage on Orchard Road, the house, was also where the origins of Novena Church in Singapore could be traced to. That I will come to a little later. 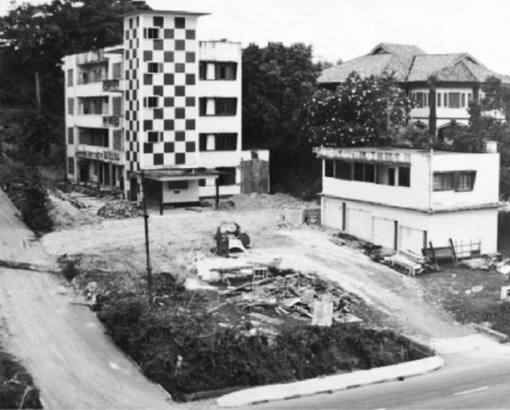 Besides the clinic, there was another landmark (or so it seemed) that was brought down in 1978 to make way for the hospital – a four storey building named Adam Court and an associated two storey building which served as a garage. 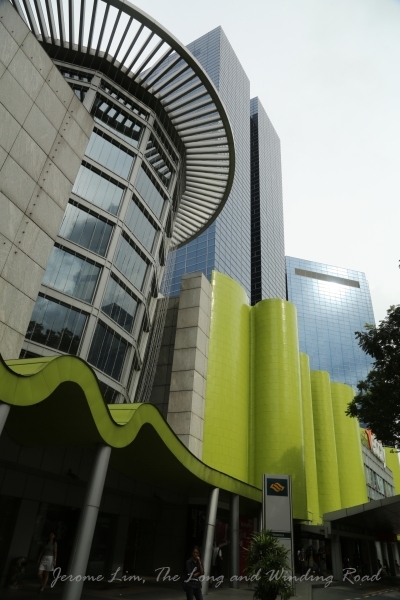 Adam Court housed one of the first Yamaha Music Schools in Singapore which moved into it at the end of the 1960s. 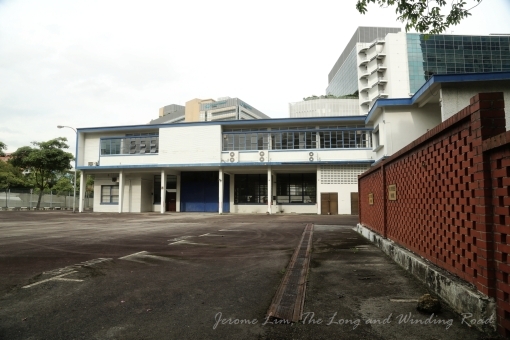 A check in the online newspaper archives reveals that there was also a private school, Adam Court Educational Centre, which operated for a while in the building at the start of the 1970s. (I have also since posting this learnt that another music school belonging to Mrs. Madeline Aitken, who had once been described as the ‘grand dame of piano teachers’ had occupied the building before Yamaha moved in). 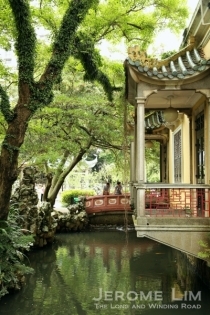 Another view of the mansion – it had been the belong to Dr Cheng’s in-laws prior to him setting up his clinic there (image from Thomson Medical Centre’s 30th Anniversary Book). 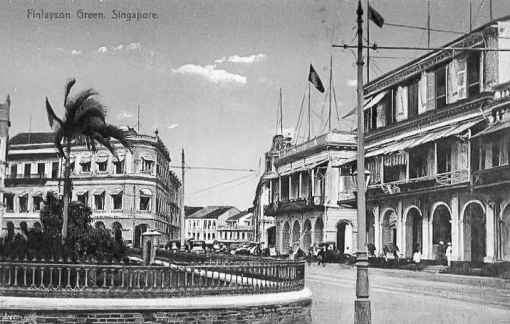 The mansion had also been the first premises of the Redemptorist mission which arrived in 1935 – the Redemptorists run the Novena Church in Singapore. 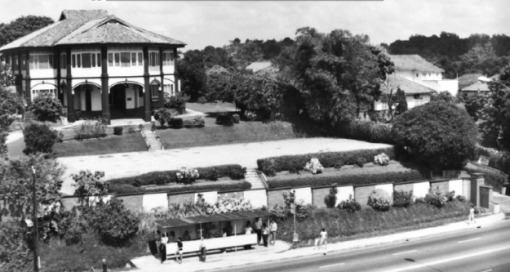 The four storey building, Adam Court, next to Dr. W. C. Cheng’s clinic seen from Thomson Road before it was incorporated into TMC in 1979 (image from Thomson Medical Centre’s 30th Anniversary Book). The two storey building in the foreground was a parking garage for Adam Court. 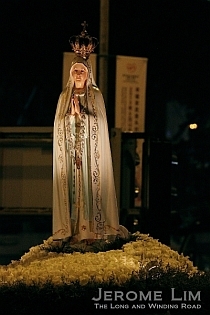 What is perhaps today the most recognisable landmark in the area is Novena Church. 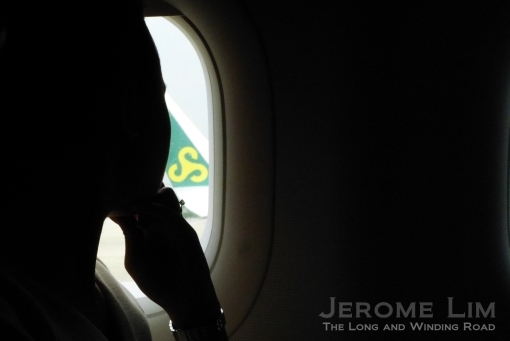 Its origins can be traced back to the arrival from Australia of the Redemptorist mission in Singapore in 1935. The Redemptorist community is best known for its promotion of devotions to Our Lady of Perpetual Help, devotions referred to as ‘Novena’ from the Latin word ‘novem’ for nine – the devotions involve prayers made over nine consecutive occasions. Devotional prayer services or ‘Novena’ sessions held on Saturdays at the church have over the years proven to be very popular with both followers and non-followers of the faith and the current Redemptorist church, the Church of St. Alphonsus, has come to be referred to as ‘Novena Church’. 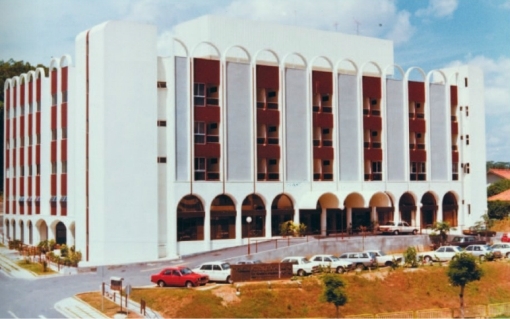 Thomson Medical Centre when it it opened in 1979 (image from Thomson Medical Centre’s 30th Anniversary Book). The bulk of it was built on the side which contained Adam Court. 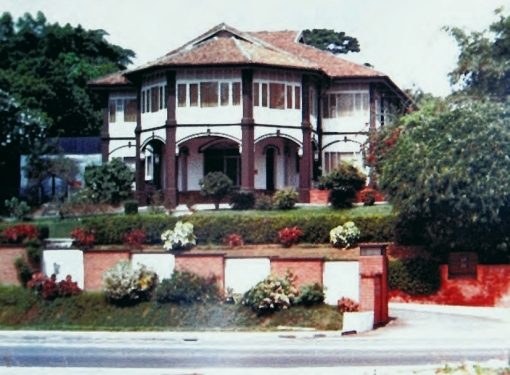 The Redemptorist community upon their arrival, rented the mansion where Dr. Cheng was to later set up his clinic and only moved from the premises after the Second World War ended, first up Thomson Road to where the Chequers Hotel once stood (which later became the ill-fated Europa Country Club Resort). 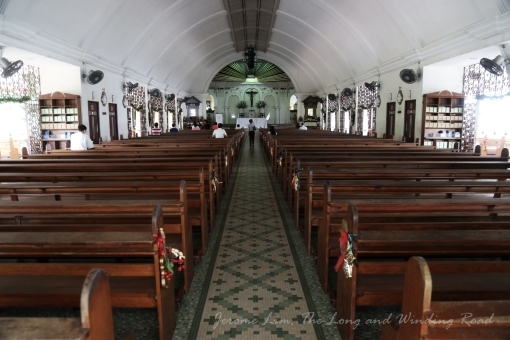 It at the second premises where the first public Novena devotions were held, commencing in November 1945. It was in 1950 that they moved to their current premises. 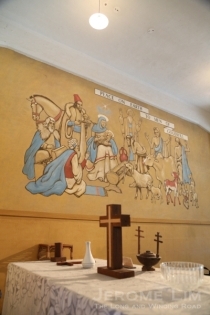 A new chapel which became the Church of St Alphonsus (after the founder of the order) designed by Swan and Maclaren was built and was blessed on 14 May 1950. Several structures have been added since: a bell tower and residences at the back of the Church were added in 1956; side verandahs in the 1980s; and the St. Clement Pastoral Centre and new residences in the 1990s. Inside Novena Church – the church is always packed on Saturdays during Novena services and a much bigger church is now needed. Even with the more recent additions the appearance of the church is still as recognisable as it was during my younger days. The church building itself is one dominated by triple arc pediment at the front. There is however, a huge change that may soon render that as a less recognisable feature of the church. Although the building has been gazetted for conservation on 8 June 2011, it will soon see itself in the shadow of a new and much larger church building which will come up next to it. This is part of a necessary $45 million expansion which will not only see a much-needed expansion of the church’s seating capacity, it will also see the construction of a basement car park and a new pastoral centre (the present one will be demolished to make way for the new building). Work will commence once 70% of necessary funds have been raised. The once familiar façade of Novena Church which has conservation status will soon be dominated by a much larger building (image source: http://novenachurch.com). Besides the church, there are also several structures which date back to my days in the school or public bus. There are two sets of private apartment blocks on the same side of the church just north of it which seems to be a constant there. The block further from the church has a row of shops located beneath it. It was in that row of shops where one, Java Indah, had in the 1970s, sold the best lemper udang that I have bitten into. The cake shop was started by an Indonesian lady, Aunty Neo, sometime around 1973 – well before Bengawan Solo started. 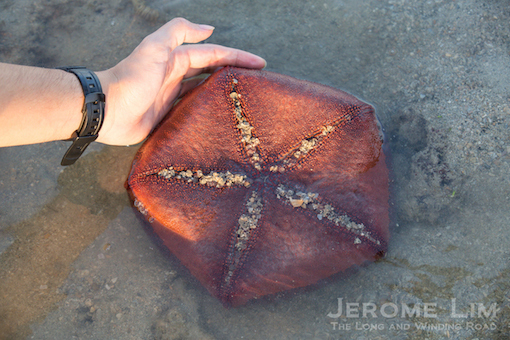 It was perhaps better known for its kueh lapis, which was also distributed through the various supermarkets. 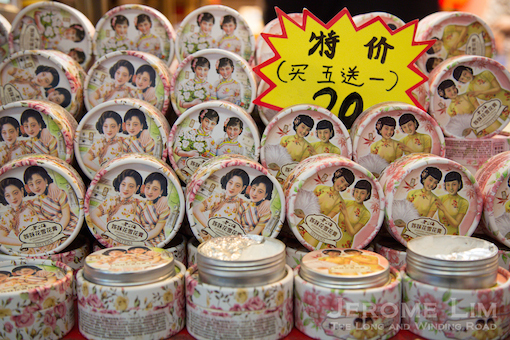 The shop was later run by Aunty Neo’s niece and moved for a while to Balestier Hill Shopping Centre before disappearing. The row of shops also contains a dive equipment shop which is still there after all these years – it was from the shop that I bought my first set of snorkeling equipment back in the late 1970s. The block where Java Indah and the best lemper udang was once found. One of two private apartment blocks next to Novena Church. 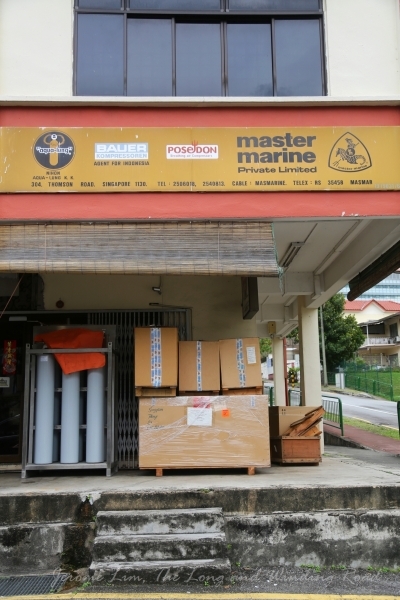 The dive equipment shop today. 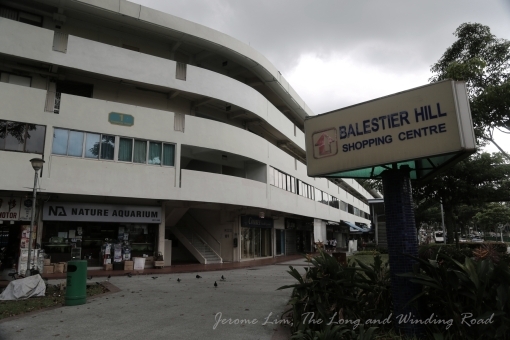 Speaking of Balestier Hill Shopping Centre, that was an addition made sometime midway through the twelve year period. 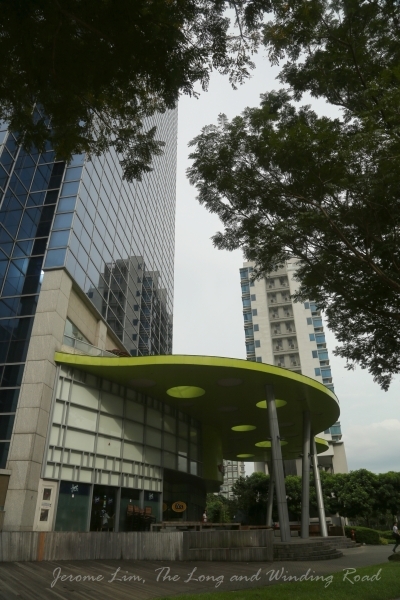 Situated across from where Thomson Medical Centre is today, the low-rise Housing and Development Board (HDB) cluster is where the very first Sri Dewa Malay barber shop moved to from its original location further south opposite Novena Church. Sri Dewa possibly started the Malay barber craze in the late 1960s and early 1970s and at its height, boasted of some 22 outlets. That outlet is one that I visited on many occasions – I was (as many of my schoolmates were) often sent there by the discipline master of Balestier Hill Technical School which I went to for technical classes in Secondary 3 and 4. He did always seem to have very different standards for what short and neat hair meant than our own discipline master. Balestier Hill Shopping Centre which was completed in 1977. 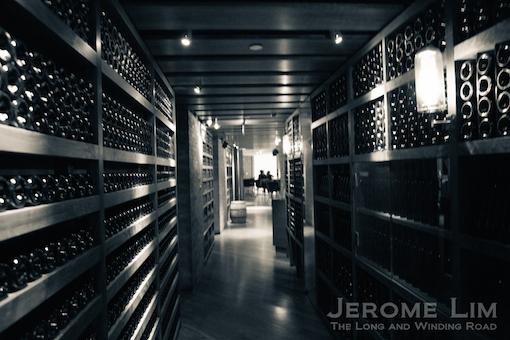 The cluster which a post office could once be found in has always seemed a rather quiet place. Work on it started sometime in 1975 and was completed in 1977, and it was built partly on land occupied by a row of terraced houses by Thomson Road. What perhaps was interesting was the land behind that row – it and the hill on which the technical school, the first to be purpose built (and two primary schools) came up in the early 1960s. That was once owned by the Teochew clan association Ngee Ann Kongsi and used as a Teochew cemetery around the turn of the 20th century. 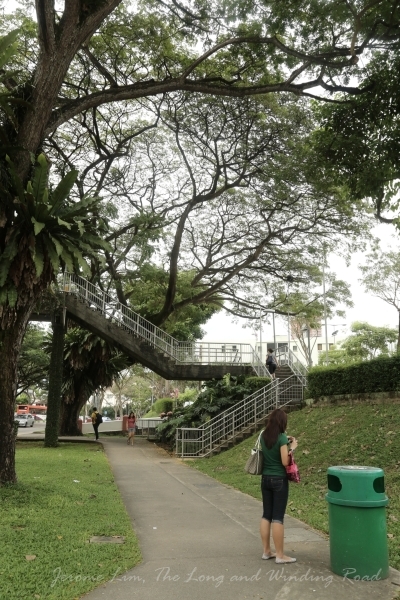 Evidence of this did surface during the clearing work to build Balestier Hill Shopping Centre – a coffin with some human remains was uncovered at the foot of the hill in December 1975. 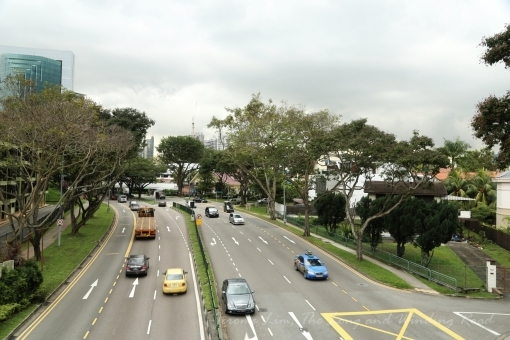 The road up to Balestier Hill where three schools were located. The hill was once used as a Teochew cemetery. 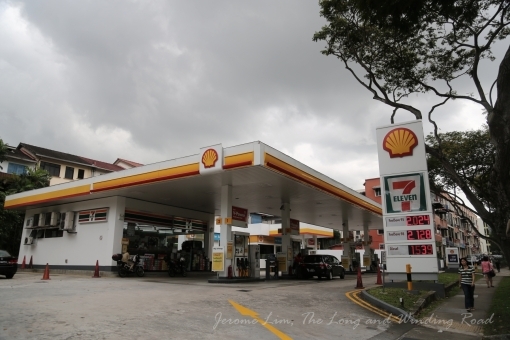 Right next to the road up to Balestier Hill in between the shopping centre and the private flats is a Shell service station which has been there since I first became acquainted with it. My father was a regular at the station, Yong Kim Service Station, from the days when he drove his Austin 1300. Loyalty gifts were commonly given to customers then, and my parents do still have some of the sets of cups and drinking glasses that were given out back at the end of the 1960s. The former Yong Kim Service Station. 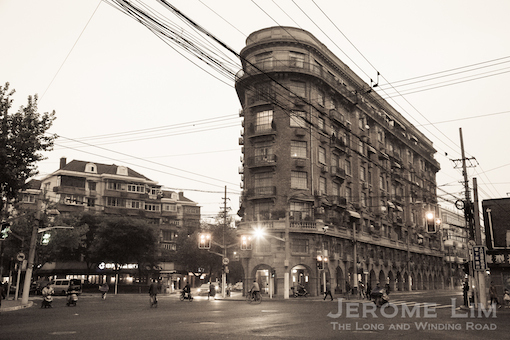 Besides these structures, there are also several more which have not changed very much along the road. 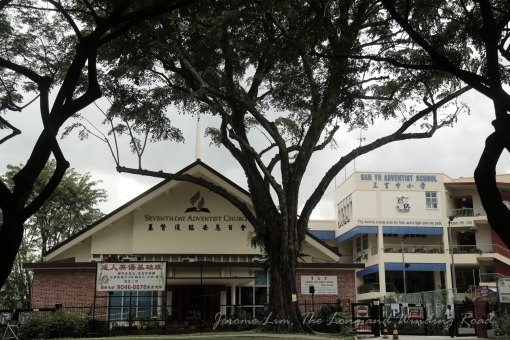 One is another religious complex, across from Novena Church, where the Seventh-day Adventist Chinese Church and the San Yu Adventist School can be found – which dates back to the 1950s. Not far from that is a house which has also been a constant there, retaining its original design over the years. The house is one that was affected by road widening – it once sat on a even larger plot of land which was lined with a row of palm trees along the road. The Seventh-day Adventist Chinese Church and San Yu Adventist School. A house that was once fronted by a road of plam trees. Just south of Novena Church, across what is today Irrawaddy Road, is another part of the area which had for seemed to be always there. That however is also soon about to change. The cluster of blue and white buildings and a red brick wall in the fenced off compound takes one back to the late 1950s / early 1960s and were once where stores of the Electricity Department of the Public Utilities Board (PUB) (before that became corporatised) were located. They have since fallen into disuse and a recent tender exercise conducted by the Urban Redevelopment Corporation means that it will soon see it being redeveloped. The tender was awarded to Hoi Hup Realty Pte Ltd, Sunway Developments Pte Ltd and Hoi Hup J.V. 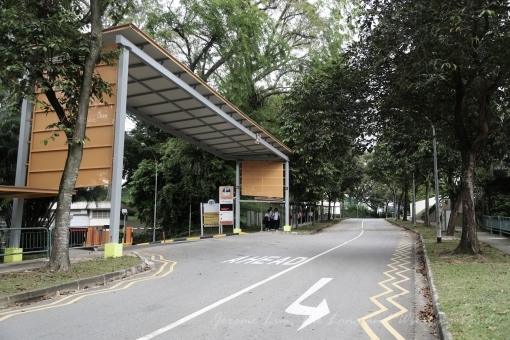 Development Pte Ltd and is slated for mixed use development which will include a hotel. The former stores of the Electricity Department of the Public Utilities Board (PUB) before corporatisation will probably be the next to go. Adjacent to the former stores is where two storey shophouses which once lined the road and the Jewish Cemetery behind them have made way for a shopping mall, Novena Square (now Velocity @ Novena Square) and an Novena MRT station. The mall was completed in 2000 and was built by UOL. I remember the shophouses that lined the road for one thing – the image of an elderly man sitting on a chair outside the shophouse has remained in my memory from my upper primary school days. 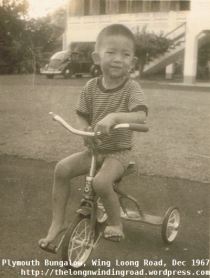 There was also a two storey house that had long stood at the corner of Thomson and Moulmein Roads which always seemed unoccupied and used as a storeroom during my primary school days which has since disappeared. Velocity as seen close to the junction of Moulmein and Thomson Roads where a two storey house once stood. One of the things I should perhaps mention is how busy the sidewalk down the slope from Novena Church were in the 1960s and early 1970s on Saturdays when hourly Novena services are held. Many among the thousands of church-goers that came and went thronged the sidewalks in search of treats from the food and snack stalls set up to cater for the crowd. Among the food vendors there were some who were to set up successful baking businesses later after the stalls were cleared. The sidewalk just below the slope up to Novena Church were always busy on Saturdays when many stalls selling food and snacks were set up to cater for the church going crowd. It has been brought to my attention by Mr William Cheng, the architect of Thomson Medical Centre (TMC) that the old Adam Centre or Adam Court (Yamaha Music School) was not demoished but incorporated into the Right Wing Consultant Suite Block. That is where Dr. Cheng has his consultant suites on the ground floor. 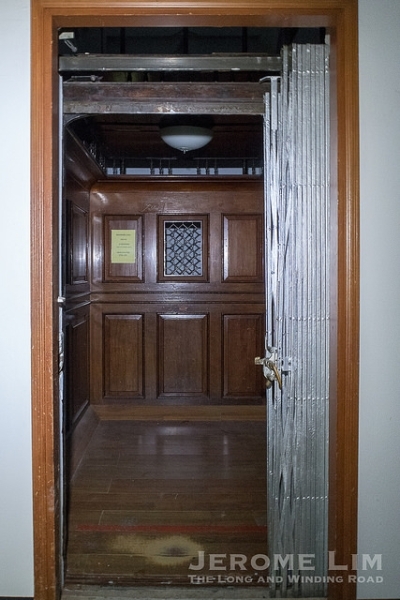 In addition, a new elevator core for 2 low speed lifts was added and annexed to the new TMC building with an extra floor was added. Mr Cheng has also added that the TMC Building was designed and built in a record time of 8-9 months. During the construction Dr. Cheng did not maintained his practice at the renovated consultant suite on the ground of the old Adam Centre which he moved to from the old house and has remained there until today. 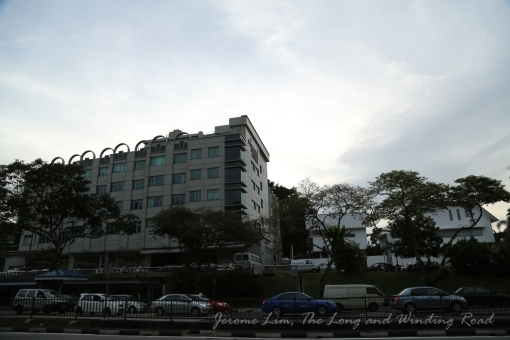 Mr Cheng also pointed out that iconic arches were introduced to the top of the TMC building’s façades to “maintain the spirit of the old 339 Thomson Road house”. These were moved to the new façades when the TMC building was extended in 2000 to 2002. The “innovative first-of-its kind in Singapore automatic computer controlled mechanical underground carpark” was built to provide additional car parking spaces. A pauper’s house under the jackfruit tree? In Singapore, we have grown accustomed to the many names by which places could be referred to by the different ethnic groups. While this usually revolves around either a translation of what the name means in a different language or the pronunciation especially in the case where a proper name is involved. Once in a while, we do come across a set of names that when translated; takes meanings which seem completely different from one another, which is the case with an area that was once known as Rumah Miskin. The area that was once called Rumah Miskin and also Mangka-kah, seen today. I had become acquainted with the area early in my life, passing through on the back of a bechak (trishaw). 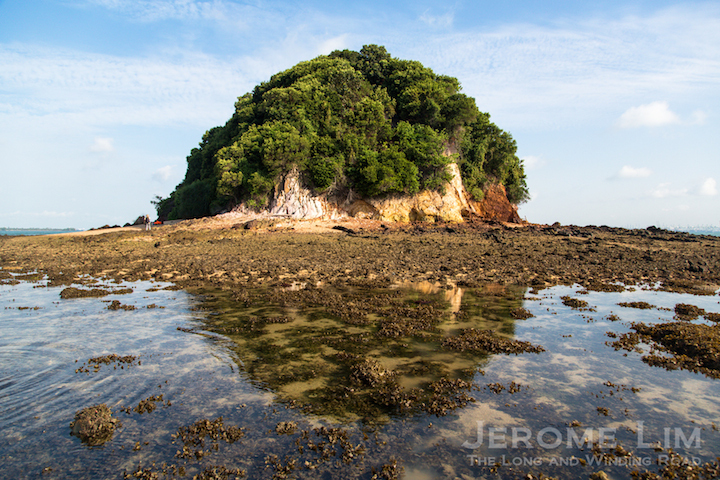 This was on the many trips accompanying my maternal grandmother to an area a little further away that she referred to as Kampong Jawa. My impression of the area had always been that of the longish building with a staircase that had a wooden banister visible from Balestier Road. 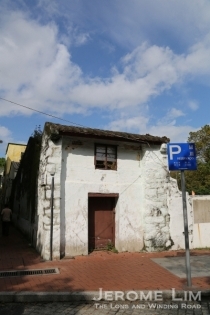 The building had been part of the Rumah Miskin Police Station, which had stood as a landmark at the corner of Serangoon Road and Balestier Road for many years. The name, Rumah Miskin translated as “Pauper’s House”, had always been a source of fascination for me. My grandmother, who had in all probability not put much thought into the origins of the name, was not able to offer much to satisfy my curiosity as to the origins of the area’s name. Unable to find an explanation, I allowed my imagination provide the explanation, and for a while, I had the impression that the building with the staircase must have once been that home for the poor. Another view of the Rumah Miskin area today. It was later in life that I learnt of another intriguing name by which the area had been referred to. Rumah Miskin was used by the Malay and English speaking communities, and the Chinese speaking community had referred to the area as Mangka-kah, which in Hokkien or Teochew, could be taken to mean “jackfruit leg” (possibly at the foot of or in the shadow of the jackfruit tree) or perhaps “mosquito bitten leg”. 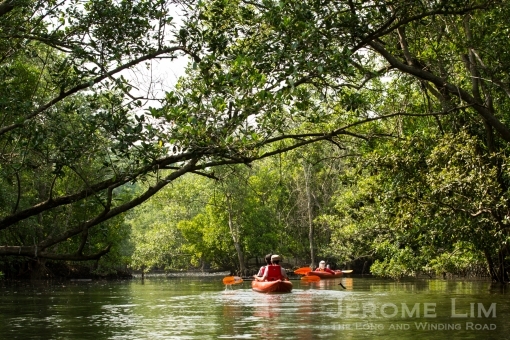 The former does seem quite plausible as an explanation of the origins of the name, and as some would have it, that came from jackfruit groves that were thought to have existed in the area. I was also told later that there was another interpretation of “jackfruit leg” that could provide another possible explanation for the name, which unrelated as it may sound, does seem to have something to do with the Malay name for the area. 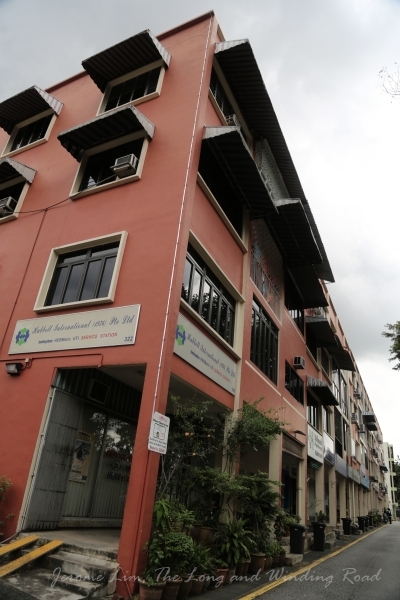 The Rumah Miskin area is also where another landmark, the Kwang Wai Shiu Hospital, which had recently been in the news for the hefty increase in rent following a renewal on its 99 year lease, which expired this February, stands. The hospital was known as the Kwang Wai Shiu Free Hospital then, and did, as the name suggests, provide free treatment for the less fortunate. My grandmother had herself visited the outpatient clinic there on many occasions in the 1970s, when she found that it was more affordable (despite having to pay for the treatment) than the Rakyat Clinic that she used along Balestier Road. 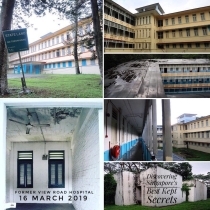 The hospital had started in 1910 with buildings that had been inherited from the original pauper’s hospital, Tan Tock Seng, when that moved to Moulmein Road in 1909. That set of buildings were demolished sometime in the early 1950s to make way for the hospital buildings that we see today. It was actually from the pauper’s hospital that the area took its name, the hospital being a home for infirmed and poor, hence the name Rumah Miskin. As to what this has got to do with the name Mangka-kah, the explanation was that the name originated with the sight of patients of the hospital hobbling around on their diseased legs which could be observed in the area – the wounds and sores on their legs of these patients were said to resemble a jackfruit, hence “jackfruit leg”. 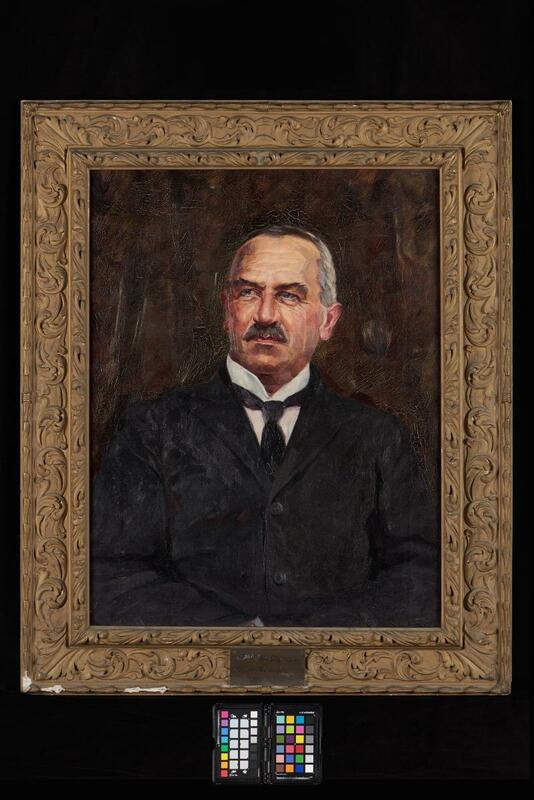 Whichever explanation for the origins of the name Mangka-kah, it would probably be difficult to establish today. The Kwan Wai Shiu Hospital building was rebuilt in the early 1950s. Information board on Kwan Wai Shiu Hospital. Today, all we see is an empty plot of land at the junction where the Rumah Miskin Police Station had stood as a landmark. The buildings had been used as a halfway house for drug addicts by the Singapore Anti-Narcotics Association (SANA) when the Police Station closed its doors around 1975, and for a while later, became the premises of the Indian Fine Arts Society, before being demolished. With the demise of the buildings, the names Rumah Miskin and Mangka-kah seem to have perished as well – I have not heard of it being used for quite a long while now. With this, there is somehow a sense of loss and sadness, not just at the passing of another landmark, but also with a name that would soon be lost with time. The buildings of the Rumah Miskin Police Station are conspicuously absent from the plot of land where they once served as a landmark. Another view of the junction where the Rumah Miskin Police Station once stood. As wrecking equipment stand threateningly in the vicinity.